I have decided to start this news thread for random updates that don’t warrant a full post to themselves but still need to be posted. Hopefully this helps bring down the number of pinned threads! The first bit of news is that it has been decided to increase the runtime for the architect for the rest of the year to 24h as this was so appreciated by players. As some of you might have already realized, the emperor is in more and more of a festive mood. Themed events all over the Empire and attractive offers for everyone to participate in the festivities. But not only will the emperor celebrate the coming days with his family and royal court, your Community team is following suit. Our Community Managers, as well as our Board team, will have some days off to enjoy the holiday season. But this does not mean there is no one here taking care of you throughout the rest of the year. As mentioned before, your Community team will spend some time with their families and of course, you belong to it as the Empire family! So, even during the festive period, there will be someone here for you but less frequently than usual. Your whole Community Team will be back at the beginning of January, starting a new ride into an exciting new adventure in 2018. Of course, not only the Community but also our Customer Support team will be back with full force in 2018. Which also means, the processing of tickets by our remaining agents will be slowed down and occasionally delayed throughout the rest of 2017. Apologies for the circumstances caused by this and thank you for your understanding. On top of that, you will get a Ruby Doubler, which can be used to double the value of your next purchase! Both will be sent out on December 24th, 10 am CET and will be claimable until December 26th, 10 am CET. Please accept this package as an appreciation for this really exciting Empire Year 2017, full of ups and downs and you were always part of it. Without you this year would not have been such a great adventure for all of us! We can't wait for 2018...amazing things are coming...ROOOOAR! Thank you, happy holidays and a happy new year to all of you! Just want to clarify that this ruby doubler WILL stack with your LTPE doubler. It’s only LTPE doublers that do not stack. Lords and Ladies Due to the harsh winter and some minor time differences in Nomads ending before the Quest, the Royal Quest 6/9 will be marked completed for everyone in the land! Some of you might have already noticed an issue that prevents you from recruiting. Due to the game thinking that you have a build item in your barracks, even though you do not. Luckily there is an easy workaround for this issue: simply manually type in the usual max amount that you are able to recruit at once, which is usually 80 units. We are already working on a proper fix for this which will also solve another build item issue where you can't remove the item from your building at all. We are aiming for a release today, latest next week, depending on the different approval processes at Google, Apple, Amazon and Samsung, but due to a longer approval process at Apple, we expect a release for iOS rather on Monday. Once it is available you can download it in your preferred app store and start recruiting as usual again! Also, if you are on iOS and can't see the latest version, restarting the device might help in these cases. Last weeks bugfix update is now available on iTunes and Amazon! If you are on iOS 11, you can refresh your update screen by simply swiping it down. If you are on iOS 10, you can try to restart your device to make the update appear on your update screen. 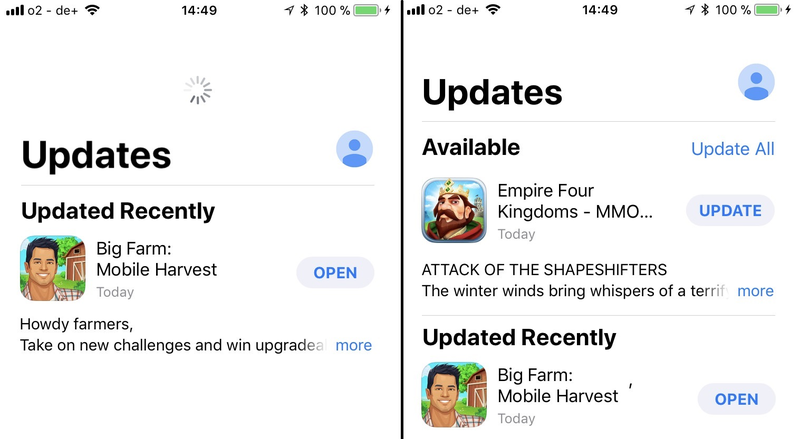 If none of the above helped, we kindly ask you to wait some minutes/hours until the update is distributed to your device by Apple. There will be a bug fix today at some point between 11:30am and 2:30pm CET. The expected down time is around 40 minutes. The royal quest will be moved to start at around 2pm CET as a result. "Attack of the Shapeshifters: Losing a Shapeshifter attack doubles your surviving tools"
Due to human error the E4K servers were not reachable for a short time this morning, but they should be back now. Apologies for any inconvenience caused by this short downtime. Please see the Server vs Server thread for an update on a discovered bug! The first results for the Server vs Server event are in! Where did your server come?! Have a look at the Server vs Server thread to find out. Please do not contact our support regarding this! We are aware of this and are investigating this issue, to assure that everyone who has qualified for these rewards will get the correct ones at the end of the current Ice Championship! Everyone who qualified for the respective rewards will get them AFTER the LTPE ended. You have to do nothing, the system will credit the correct rewards automatically to your accounts. We will have a downtime today on the ARAB 1 Server only starting 14:00 CET spanning up to 2 hours (but maybe less). This is due to technical maintenance and preparations for the global update next week. As you probably know, there was an error with the rewards in 'hard mode' in the latest Ice Championship. To be precise: the incorrect Gems were credited. 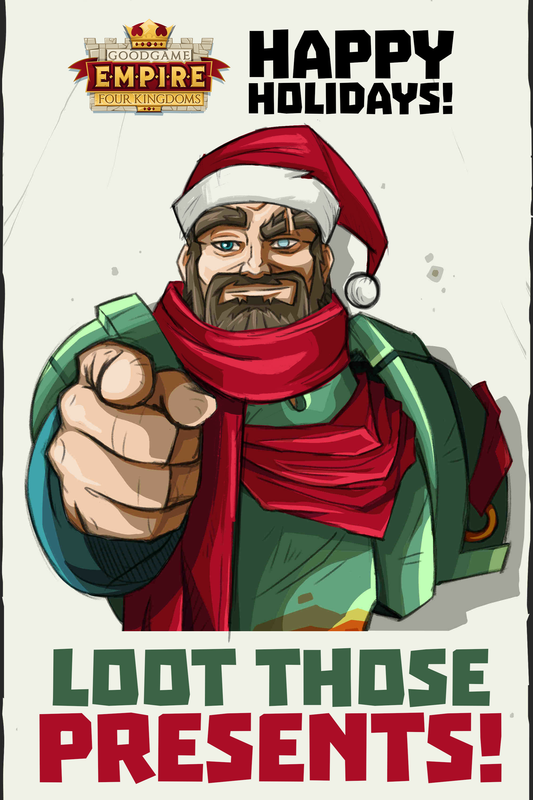 On Monday, between 12 pm - 3 pm CET we will grant the correct rewards to accounts of everyone who earned enough points. ATTENTION: Please make sure there is enough free space in your gem inventory during that time. Gems will not be credited if your storage is full - and our Customer Service team will be unable to provide you with gems which are not credited this way. We started around 2 pm CET with the gem compensation today. Unfortunately, not everyone has received the respective gem rewards so far. We are currently investigating these cases to assure that every affected player gets the rewards they earned during the Ice Championship Hard Mode. Once we have more info on how we proceed from here, we let you know. Please do not contact our customer support regarding this. We got some news for you! The missing gems will be added this Wednesday, throughout that day. Please make sure you have enough room in your inventory, otherwise these gems will get lost! Due to an issue with the Nomad/Khan event, we recently had to deactivate the Nomad vendors, as well as the related Nomad tool shops until further notice. Therefore, it's not possible to buy any Nomad/Khan tools and you'll not be able to hand-in Nomad/Khan tablets until the end of the event. We will be ending the Nomad event in the next 5 minutes. Apologies for the inconvenience. EDIT: this has been postponed. We will keep you informed of further developments. We'll start the Foreign Lord Invasion right after and the event will run for five days instead of the former planned three days. After starting our Nomad invasion we noticed that there was a huge bug, which was able to break the balancing of the event in a significant way. We decided to turn off the Nomad invasion at an early stage of the event, so that it would not result in an unfair game experience. There were a few issues connected to this termination and we are currently looking for a way to deal with them. Most of them were connected to the prime day offers where players bought the time-limited Nomad invasion booster. We are working on a solution the aforementioned issues and you can expect an answer on this from our side over the course of this day! We apologize for all the issues and all difficulties they created! We have new information for you regarding the issues we had with our Nomad Invasion/Khan’s Revenge. All players who bought Nomad boosters (Khan tablet, rage points, or Khan medal) via prime day will get the remainder of their time compensated on Saturday at 12:00 CET (when the Khan event will be active). In addition, there will be a 15 minute downtime tomorrow morning between 08:00 CET and 12:00 CET in order to fix the issue we had with Nomad Invasion/Khan’s Revenge. Thank you all for your patience and we deeply apologize for all the difficulties this issue caused. We will activate the Nomad Vendor at 4:00 PM today and it will last until 15th of March, 9:30 AM. We decided to do that because there is a high demand for horsetail banners at the current War of the Realms event. Please keep in mind that exchanging nomad tablets won't count towards the LTPE, since it is not an active requirement without the Nomad event running. Please note that repeated questions will be deleted. The cold and harsh winter season is finally over! Spring has come and with it a burst of renewal and regrowth. This coming Friday you will receive a Spring Ruby Doubler. This means that for one of your purchases we will give you an extra 100% on top, regardless when and how many rubies you purchase! You will receive your gift automatically after you login to the game and can cash it in at any time! We wish you the very best start into the spring season and plenty fun playing! There is currently an issue which is related to the Nomad/Khan event, where players are loosing spies in E4K. Due to this there will be a Hotfix today between 12.00 - 17:00CEST. The downtime for this will probably be 45 - 60 minutes long. EDIT: this issue will no longer be fixed today as it is still under investigation. Due to a bunch of sickness related absences in our team, we have had to postpone the Empire Family Twitch Stream. The Stream will be rescheduled to the next week on the 4th of April and happen at 18:00 (6:00 PM CEST). As you all know there currently exists a bug which results in a popup message appearing after every attack on longterm point event enemies/camps. This message is tied to the Alliance Tournament, so we will implement an Alliance Tournament iteration tomorrow (Friday) at 10:30 and it will last until Tuesday morning 09:00. This implementation will result in the message not appearing anymore. Sorry for the very short notice! We'll have a maintenance today in order to fix an issue with the event dialogue pop-up message. The downtime will happen between 09:30 CEST & 11:00 CEST and last ~30 minutes. Food will be frozen as always. We will start with the process in a few minutes. We plan to have a small server update on Thursday 12th of April. The downtime will last approx. 30 minutes and food will be frozen during that time. Since this is just a server update, no new client version is needed.